Microsoft Excel is very helpful when you have a lot of data that you want to sort or manipulate. 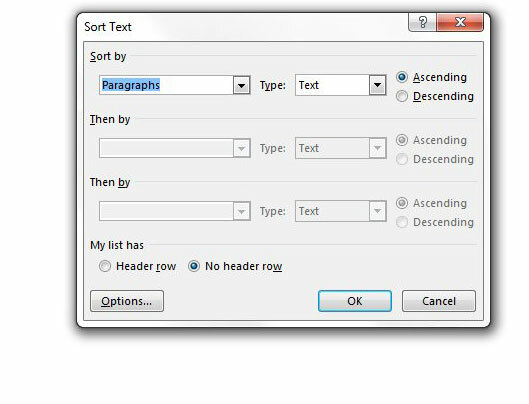 But you may find yourself working with text in a document, and you need to be able to sort that text alphabetically. 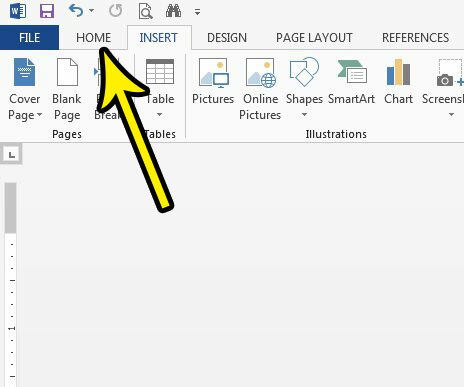 While you might have considered copying and pasting that information into Excel, sorting it there, then pasting it back into Word, you actually have access to a sorting tool directly within the Word application. 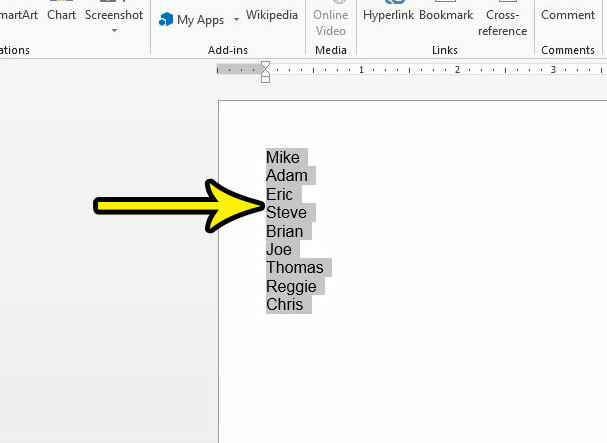 Our guide below will show you how to use Word’s sort feature by selecting a list of names and sorting them alphabetically. The steps in this article were performed with a document that contained a list of names that I want to sort alphabetically. The version of Word being used was Word 2013, but this same technique will work in most other versions of Word as well. Step 1: Open the document containing the list that you want to sort. Step 2: Use your mouse to select the items you want to sort. Step 3: Click the Home tab at the top of the window. Step 4: Click the Sort button in the Paragraph section of the ribbon. Step 5: Specify the parameters that you want to use to sort your selection, then click the OK button. Do you have a document that you need to share with other people, but you want to prevent them from editing it? 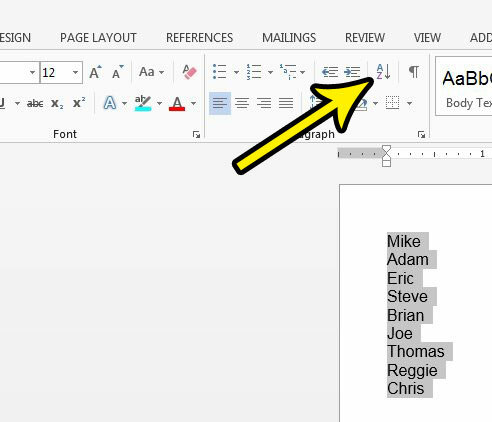 Learn how to restrict editing in Word 2013 so that people can read your document, but they can’t change it.